Visser’s contribution was strongly in support of Wilber. At the end of nearly 300 pages, Visser offers a chapter entitled “Ken Wilber in Perspective.” This covers science, psychology, and religion. Visser states that “Wilber counts as the leading theorist” in transpersonal psychology (page 267). This version of psychology “first emerged as an academic discipline at the end of the sixties” (ibid.). Wilber himself was not an academic. Visser dwells on the differences between Wilber and C. G. Jung. “Wilber is of the opinion that Jung has prompted an extremely regressive movement in psychology” (page 265). A basic contention here is that the Jungian stress upon the “collective” is a mistaken denominator for too many contrasting ingredients, including the spiritual, the prerational, and the regressive. One aspect of this drawback is seen by Visser in “writers inspired by Jung who interpret the wild or primitive aspect of our nature as spirituality” (page 265). A well known opponent of Wilber was Stanislav Grof, a psychiatrist who had innovated the term transpersonal, and who was influential in the movement associated with that word. Grof gained a repute for therapy practices and the use of mind-altering drugs, including LSD. His perinatal theory has met with strong reservations in some directions. Grof believed that he had a valid theory based on clinical evidence, which he thought was lacking in Wilber. “In many respects Wilber and Grof stand at opposite ends of the spectrum” (page 270). Visser expressed enthusiasm for the “perennial philosophy” aspect of Wilber’s conceptualism. The former tended to define this factor in terms of: “Each world religion has its own esoteric or mystical core, and, in addition to this, there are also schools of thought developed by individual philosophers who have attempted to formulate this esoteric core in a way that makes it more comprehensible” (page 276). According to Visser, “the esoteric aspects of Wilber’s model are based largely on the philosophy of Shri Aurobindo,” while “Wilber has also borrowed ideas from contemporary mystics, such as Adi Da Samraj” (page 276). Some of the critics felt that this borrowing was getting into dangerous territory. The American guru Adi Da Samraj (d. 2008) had gained the reputation of an antinomian who was acutely unreliable in his behaviour. Moving into less controversial topics, Visser stated that the “perennialists or traditionalists” included Ananda Coomaraswamy, Rene Guenon, Frithjof Schuon, and Huston Smith. The first three names are landmarks in the traditional version of perennialism. Smith was a strong influence on Wilber. Visser made a point that “Wilber has explored contemporary philosophy to a far greater extent than most of the traditionalists, who often abhor modern society” (page 276). The commentator went on to compare the Theosophical tradition with Wilber themes. “Theosophy might be described as an early nineteenth century, Western attempt to reformulate the perennial philosophy in more contemporary language” (page 277). Visser here finds an affinity “with the Western neoplatonic tradition partly expounded by Plotinus who is highly admired by Wilber” (ibid.). Views about Theosophy can differ markedly. Wilber’s version of Plotinus has met with disagreement. Visser moves on to discuss a Western Vedanta, here employing a phrase used by Wilber (who is also strongly associated with Mahayana Buddhism). Visser refers to the Dutch “philosopher and theosophist” Johannes J. Poortman (d. 1970), a former professor of metaphysics at Leiden University, who “often described his system as a Western form of Vedanta” (page 282). The information is supplied that Poortman, similar to Wilber, “was extremely sceptical about the kind of holism that is based on quantum physics, which seeks to suggest that modern physics had stumbled across the deepest Mystery” (page 283). Visser asserts that “Plotinus, Poortman, and Wilber are all mystical philosophers who have a great deal of faith in the capacity of the intellect and who therefore attach a great deal of value to any form of scientific research. For this reason they oppose any movements which denounce rationalism under the guise of spirituality and seek salvation in the romanticism of holism” (page 284). This perspective was later seen to have complications. Visser subsequently became a critic of Wilber, abandoning his partisan stance. The element of scientific research in Wilber’s output here became minimal. Although Ken Wilber did advocate a rational stance (and denied materialism), Frank Visser arrived at the conclusion that this form of rationalism was limited. The question now also arises: what exactly is a mystical philosopher? Visser’s tangent from Wilber emerged soon after the publication of his book (translated from Dutch). Rarely does any author transit so strongly and speedily from formerly held assessments. Visser became well known for his new attitude that Wilber’s version of “integralism” was a minefield rather than a solution to all problems (see Reaching Out to the World). 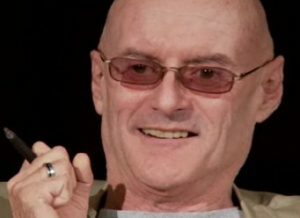 A major drawback is that Ken Wilber tended to present his theories as all-embracing and comprehensive. He referred to his doctrines as AQAL, an abbreviation for “all quadrants, all levels, all lines, all states, all types” (page xiii, foreword by Wilber). Quadrant theory could easily be accused of assuming a stance of quasi-omniscience. 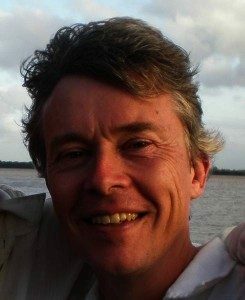 The dissenting Frank Visser has maintained a website featuring criticism of Ken Wilber. This site is called Integral World. So Visser has remained an integralist, but not a copyist of Wilber. There are different forms of integralism, including authors other than Visser and Wilber. A complexity is that certain authors do not call themselves integralists. Which is the most accurate and comprehensive form of “integralism”? This could easily become a major issue. Observers noticed a commotion in the integralist camp which occurred at blog level. In 2006, Wilber attacked Visser and other critics in a blog featuring aspersive language deemed vulgar by some assessors. Wilber here also referred to himself in terms of the lawman who was resisting the outlaws. See Visser, The Wild West Wilber Report. A decisive schism was in process. The dissenters and critics would not accept the blog bludgeoning and caricature expressed by Wilber. Visser hosted other critical writers (e.g., Jeff Meyerhoff) at his website. To be more precise, the growing number of contributors at Integral World included Wilber critics, Wilber supporters, and yet other categories. The founding of the Integral Institute by Ken Wilber was a focus for critical attention from Visser and others. The partisan description of a “visionary think-tank” was countered by allegations such as workshop entrepreneurialism, and allegiance with controversial figures like the neo-Advaita guru Andrew Cohen. Visser mentions the second Integral Theory Conference of 2010 in San Francisco, an event which attempted to modify the Wilber-centric approach. He also refers to the third Integral Theory Conference of 2013 at San Francisco, featuring a confrontation of the Wilber model “with two other luminaries in the wider integral field: philosopher Roy Bhaskar and sociologist-philosopher Edgar Morin.” These entities are described as professional philosophers who share the “same multidisciplinary spirit.” See Integral Theory. The crux for integralism would appear to be the multidisciplinary orientation, something which is not fundamental to professional philosophy and nor restricted to contemporary paradigms of spirituality. See further Visser, Ken Wilber: Thought as Passion (Albany: State University of New York Press, 2003); Ken Wilber, Integral Spirituality (Boston: Integral Books, 2007); Jeff Meyerhoff, Bald Ambition: A Critique of Ken Wilber’s Theory of Everything (Inside the Curtain Press, 2010); Stanislav Grof, Psychology of the Future (Albany: State University of New York Press, 2000); Shepherd, Pointed Observations (Dorchester: Citizen Initiative, 2005).